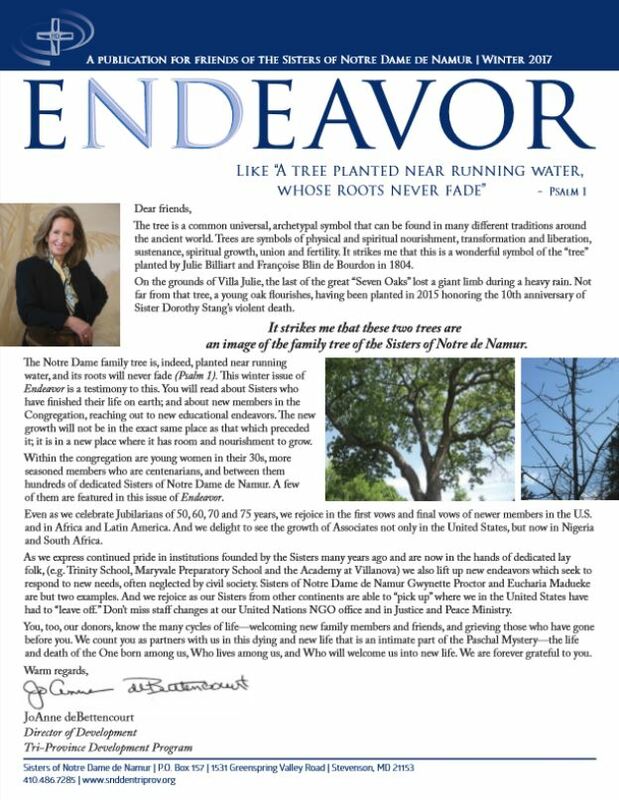 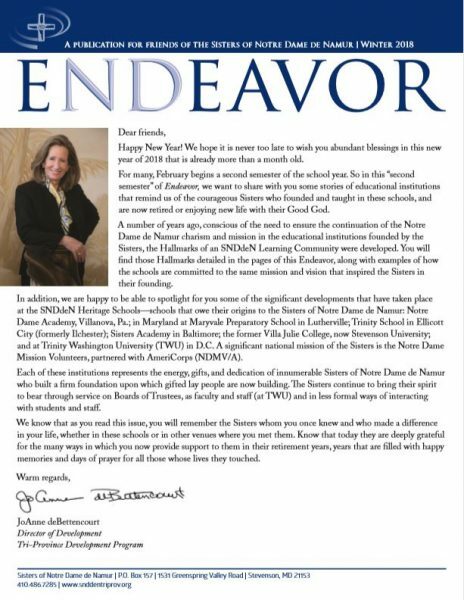 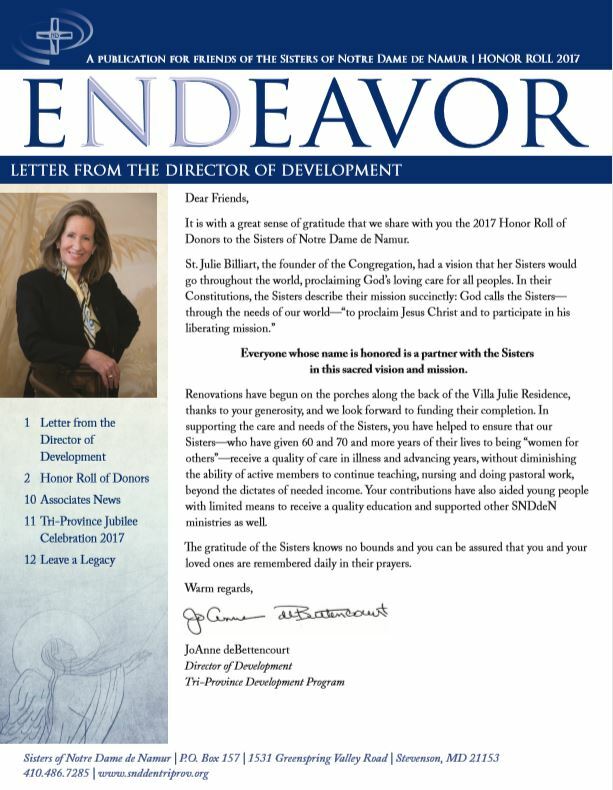 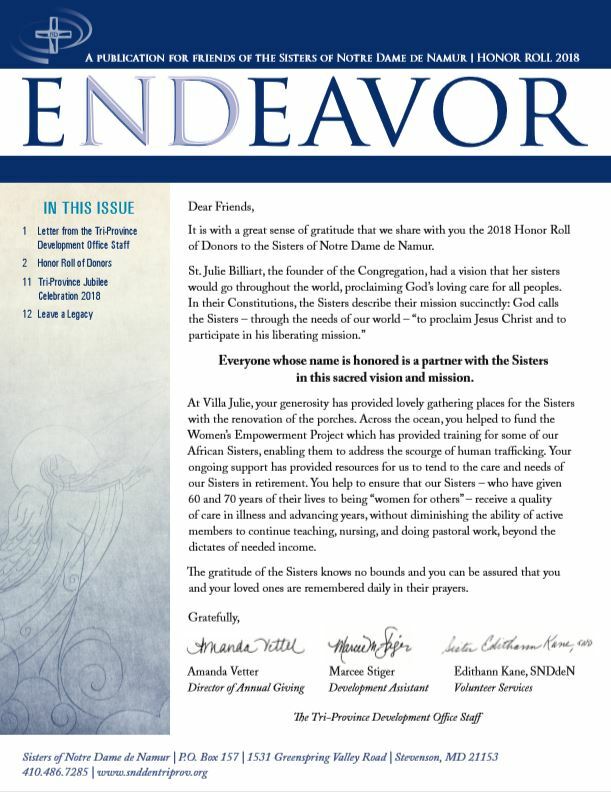 On this page you can download and view the latest copies of our signature publication; Endeavor. 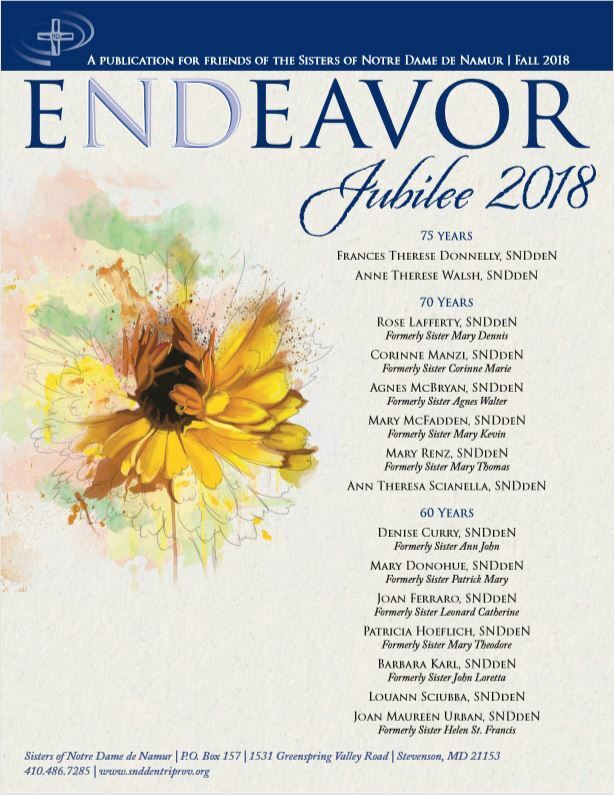 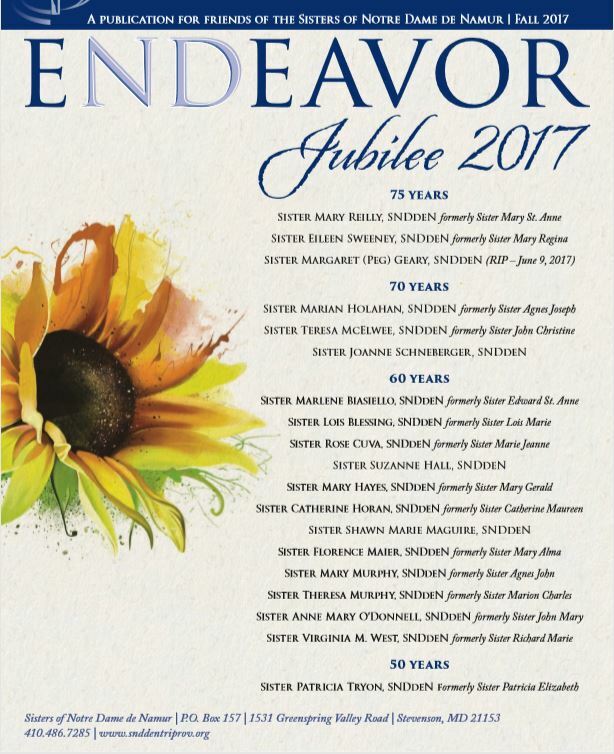 There are three annual editions, with the September issue showcasing our Sisters who are celebrating their Jubilee; a celebration of their 50th, 60th, 70th, and 75th anniversary as a Sister of Notre Dame de Namur. 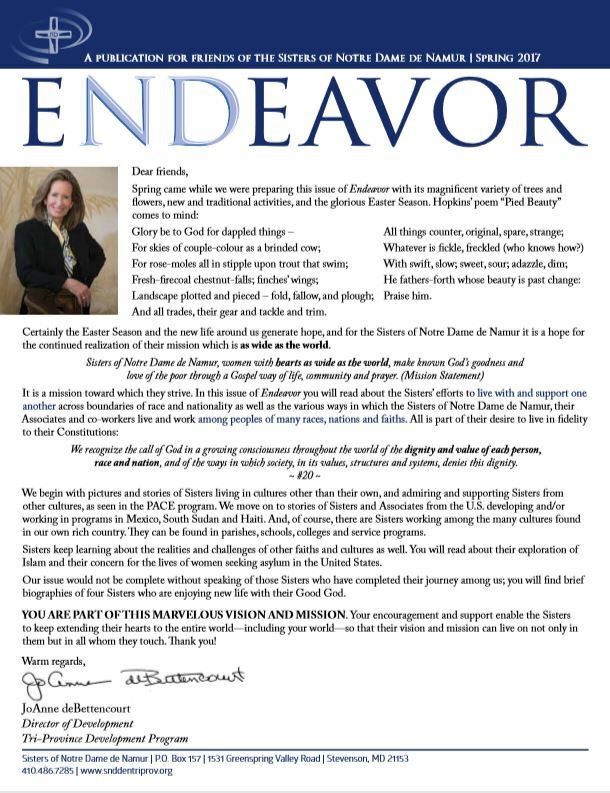 Click the issues below to download. 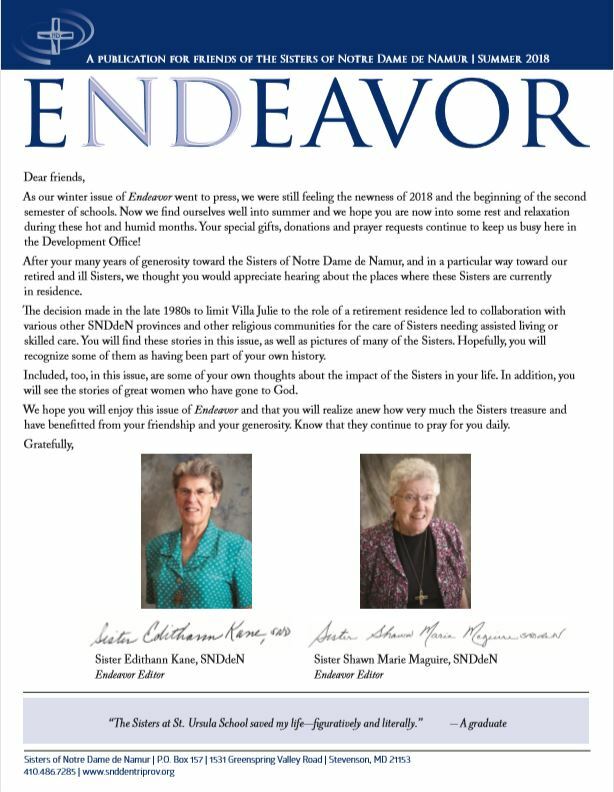 Adobe Reader is required to view these documents. 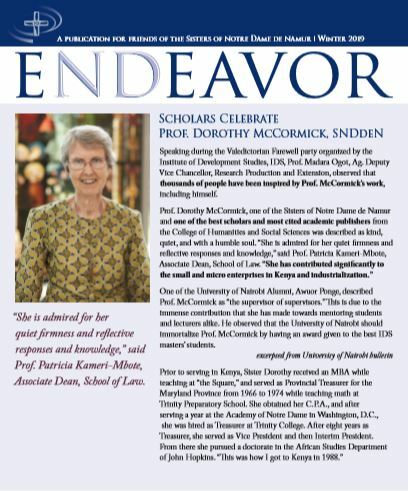 Click on the logo to get Adobe Reader for free.